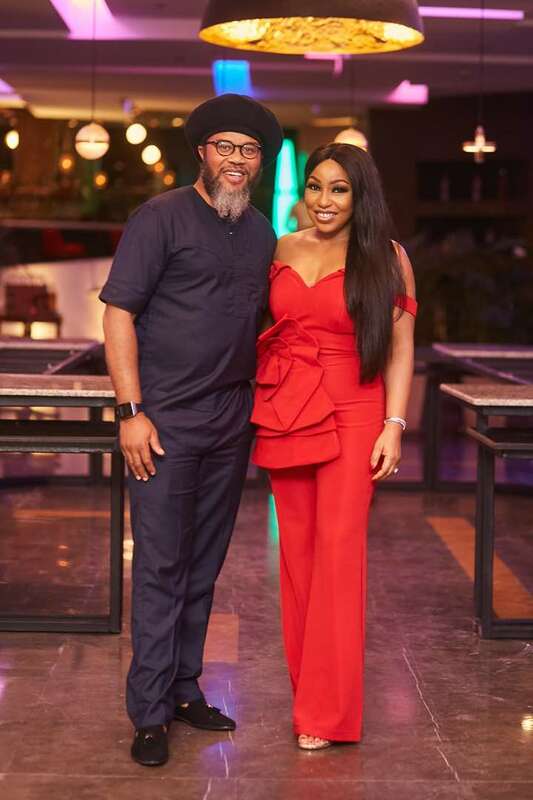 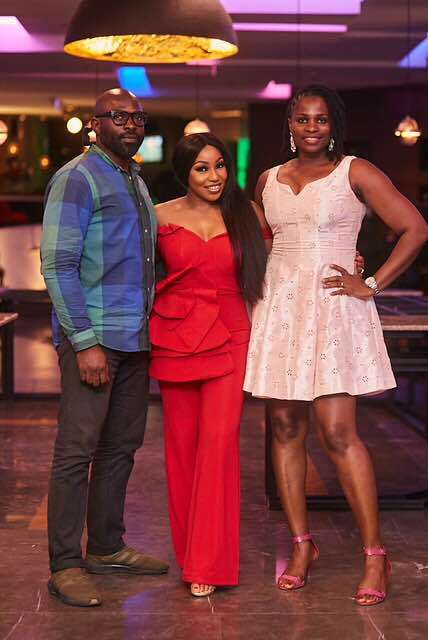 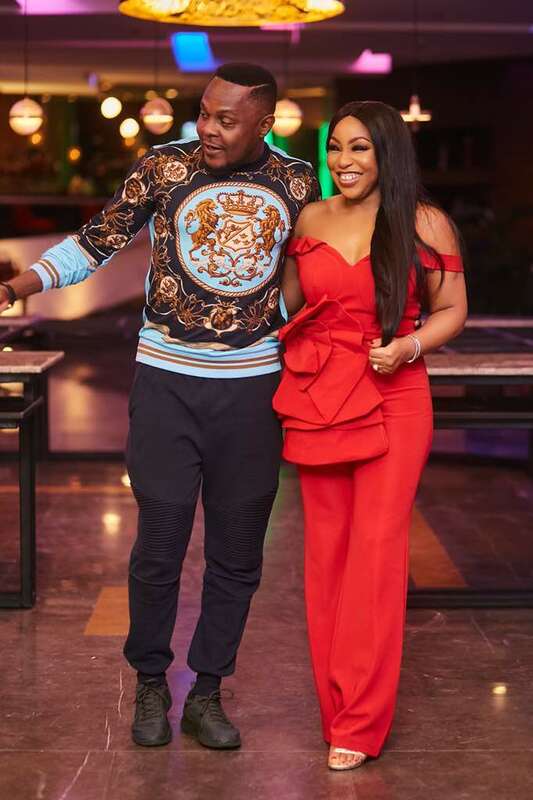 Last night at award winning restaurant Sky Lounge in Lagos, Nigeria Rita Dominic celebrated her birthday surrounded by family and friends . 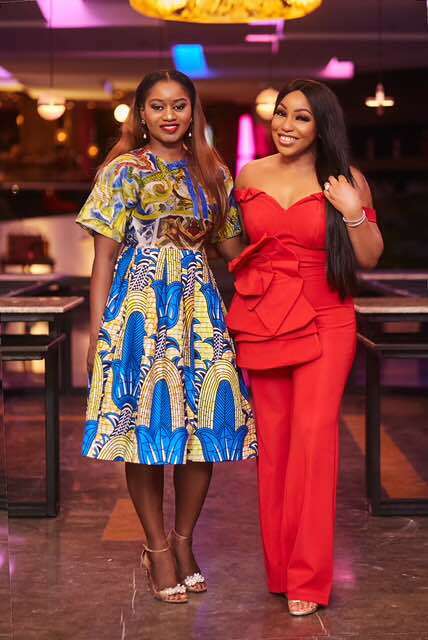 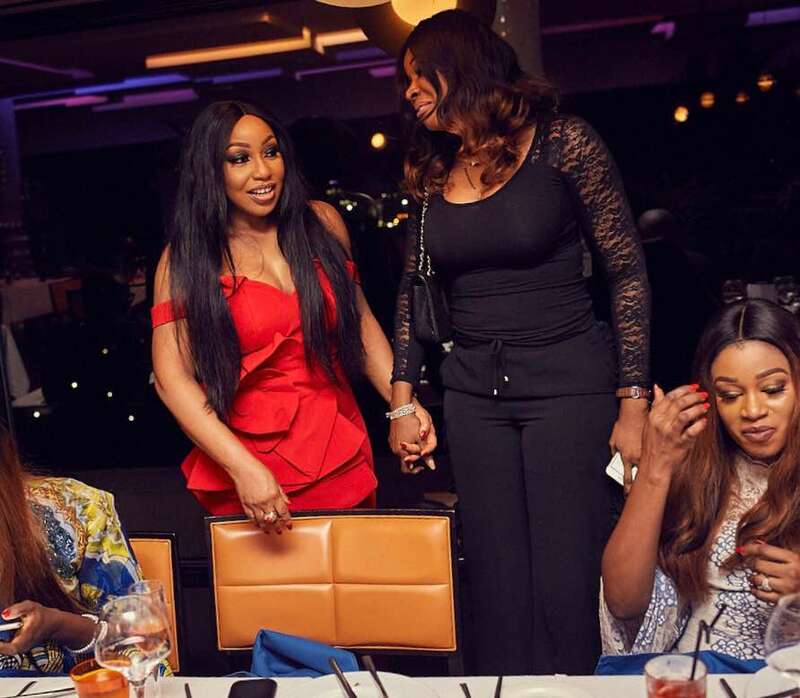 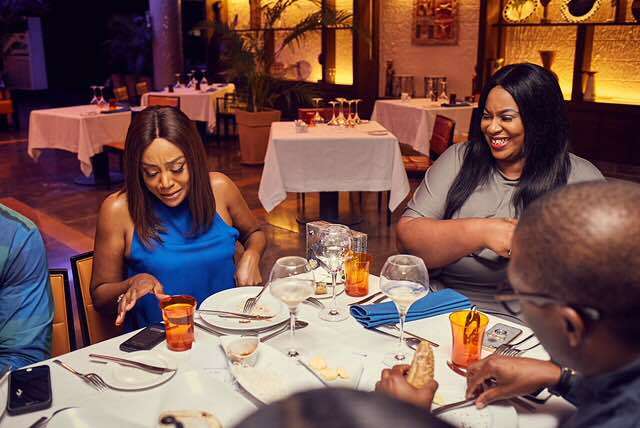 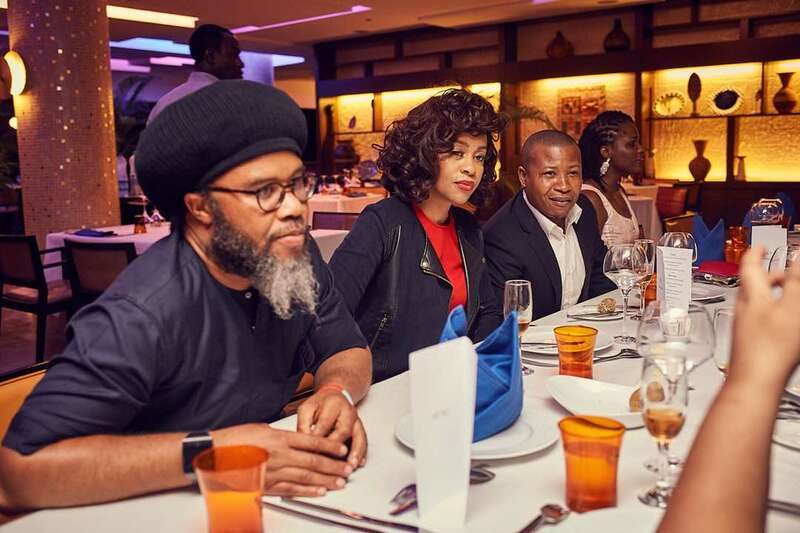 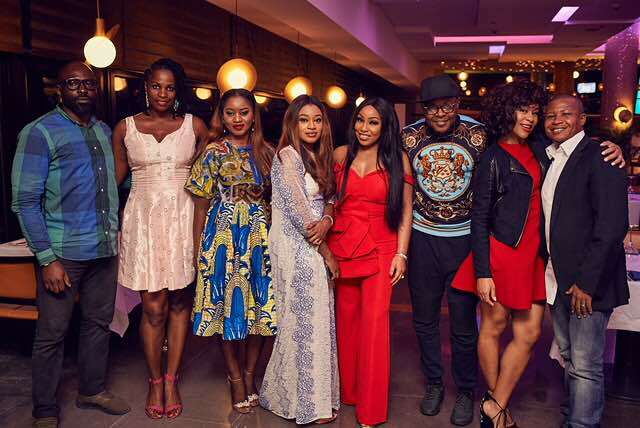 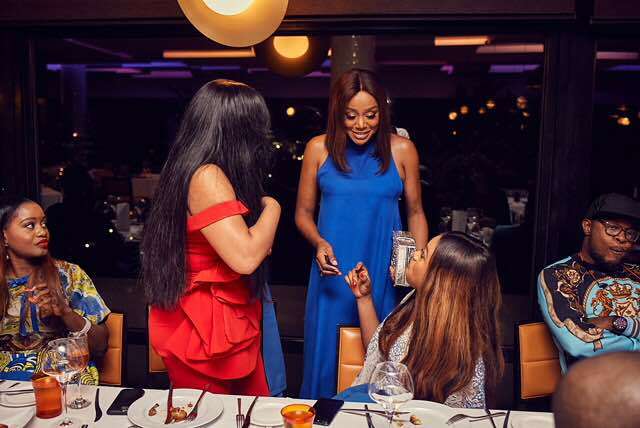 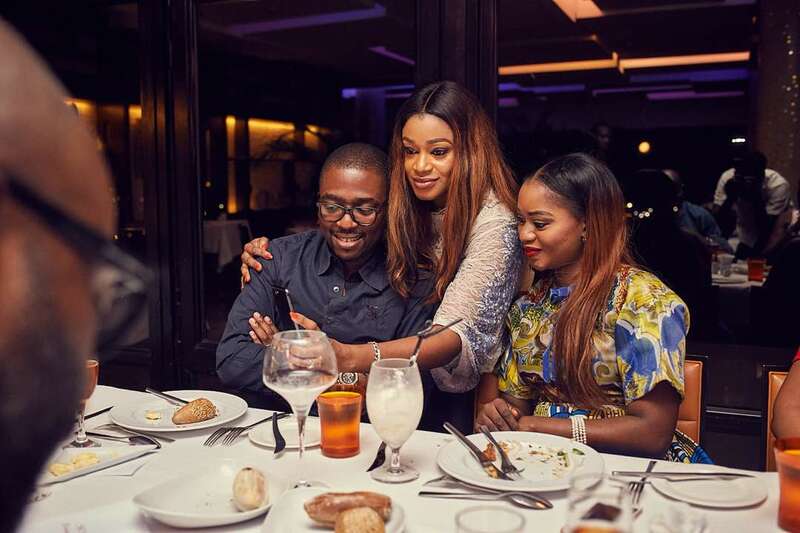 Michelle Dede, Femi Jacobs and Lanre Da Silva Ajayi were amongst the chic attendees present at the intimate dinner, along with Blessing Effiom Egbe and Femi Da Silva. 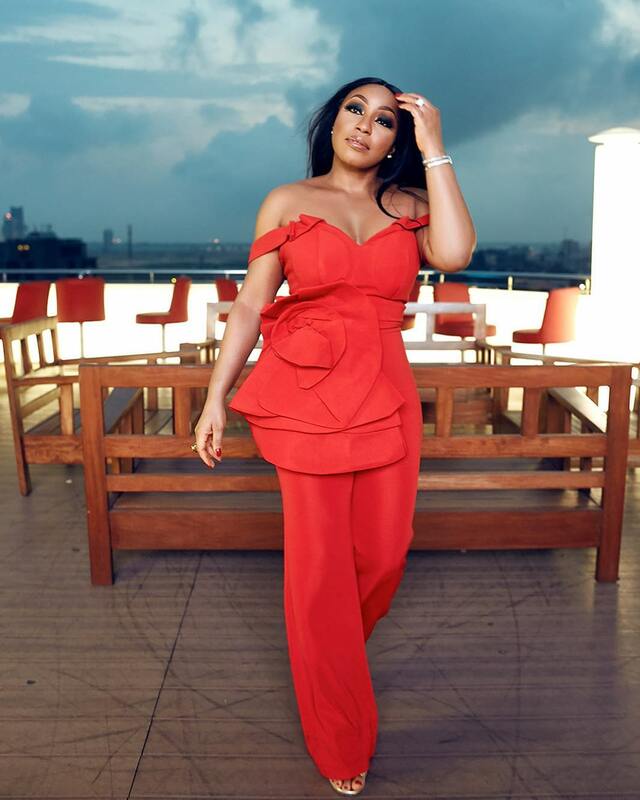 The actress and producer stepped out in a pillarbox red jumpsuit with eye-catching structural peplum detail from LadyBeellionaire Luxury. 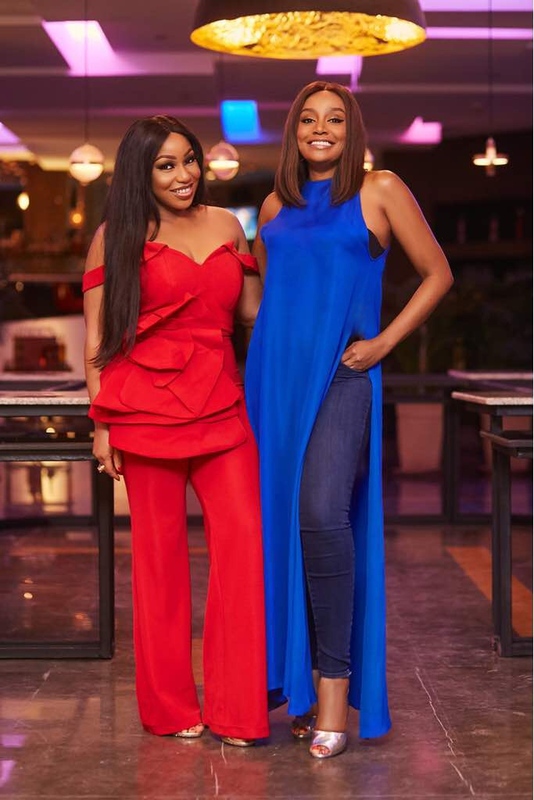 The jumpsuit featured a romantic off shoulder neckline and slightly flared pants. 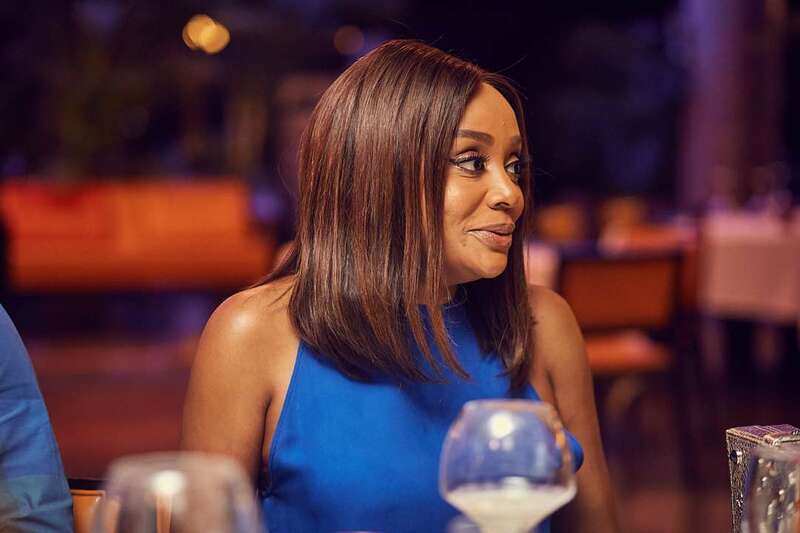 Smoky eyes and a soft blowout completed the look.